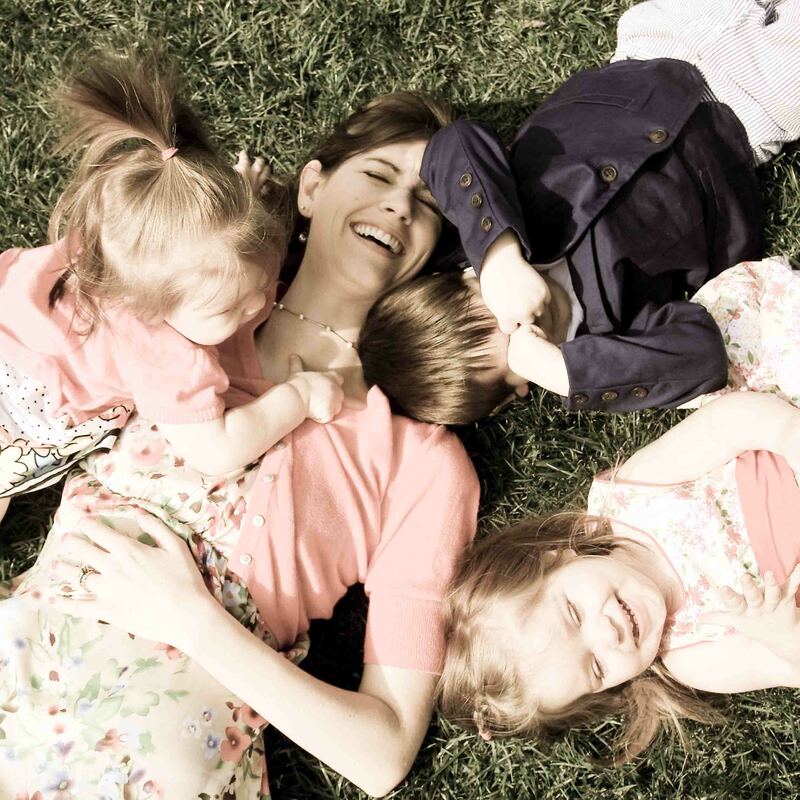 With motherhood comes pure delight as well as deep discouragement. It brings excitement and frustration. How can something so incredible that brings new levels of joy that I never even knew existed also bring such levels of anxiety? When I was first beginning this journey, I think that on some level I believed that I was the only one experiencing this vast sea of emotions that came with a new little bundle of joy. I now know better. Over the past four years, since having David Lee (my oldest), my eyes have been opened to something that I never knew existed until having children of my own. I was shocked to discover that entering into motherhood is not always the gracious, welcoming “club” one might have hoped for. There’s no shortage of opinionated people, and whether solicited or not, many aren’t afraid to make it clear that their opinion is the right opinion. Instead of offering much needed support and encouragement, these passive aggressive comments can put a nervous new mommy on the defense and begin feeding the lie that being a good mother means measuring up to everyone else’s expectations; an impossible task. When David Lee was just a few weeks old, I was sharing with another new mom about the frustration and guilt that came with not being able to continue breastfeeding as long as I had hoped. I longed for reassurance and acceptance. She responded by explaining to me that for her, her child is top priority, so she was doing whatever it took to continue breastfeeding her child. I internalized the implication that my child was not my top priority. Exhausted from lack of sleep and unbalanced hormones, I barely made it home before began to cry, guilt creeping over every piece of me, as if the lack of breast milk would cause my would-have-been brain surgeon of a son to become less than mediocre in life. And there it was… mom fail #1. After that, there were countless other times when I allowed people to confirm my failure at motherhood. “He’s only 6 weeks and you’re already back at work? I couldn’t do it!,” “Homemade organic food is better,” “Vaccinations could give him autism,””You already have him sleeping in his own room?,” and so on and so forth. Out of my insecurities came a need to defend myself, and I was always left wondering if I would ever measure up. Taking care of that little baby was arduous and overwhelming, so naturally I decided to add another to the mix, just to keep life interesting. Ella came along when David Lee was almost 16 months old. I was still completely overwhelmed and sleep deprived with 2, so why not add a third? Annie came along almost 16 months later. At that time, I had a newborn, a one year old, and a two year old. Yes, there were moments of utter chaos, but with those moments came something wonderfully unexpected. I was so focused on trying to SURVIVE that I began tuning out the negative voices around me. There was less time to think about myself, and with that came an awareness of the fact that there are a lot of moms who feel anxious and overwhelmed, just like me. And when I, like so many other well meaning moms, try to defend why what I am doing is the right way of doing things, I’m not helping anyone. There was a time when I felt like I had to be perfect. Not only did I want to be a perfect mother, but I wanted to have the validation of those around me. And I wondered why I was exhausted?! Then came the realization that there is no other “me” in the world. There is no one else who is like my husband or my children. Our family is unique. We, as a family, are one of a kind. We were brought together for a specific purpose, and that purpose is to serve the Lord our God using each of our unique gifts, abilities, and even our quirks. It’s not about doing things the “right way” or proving to others that we’ve got it all together, but it is about doing what we do in love, and trusting Him to take care of us when we mess up. When I hear people defend the choices they’ve made as a parent in a way that is arrogant and judgmental, I no longer feel defensive and resentful, but rather sympathetic. I feel sympathy because I know how draining it is to feel like you have to constantly defend “your way” and win everyone’s approval. I know how emotionally tedious it is to interpret everything that is said as a direct attack against your parenting style. It’s remarkable how liberating it is to discover that it’s my job to love my family the best way I know how to love them, and then just trust God with the rest. I’m saddened to see how many moms are already too hard on themselves. Shouldn’t we be the ones to encourage one another in love, in spite of our differences? To the mom who works outside of the home, your kids are so fortunate to have a mom who loves them enough to make the sacrifices necessary to take care of them and go to work each day. You set an example of hard work and dedication, and as you take them to daycare or school you are helping them learn how to be confident and independent individuals. You are working hard to provide every possible opportunity because you love them. To the stay at home mom and homeschool mom, your kids are so fortunate to have a mom who loves them enough to make the sacrifices necessary to stay at home with them and spend more time with them during these formative years. You work hard to provide opportunities for them to excel in every area you can because you love them. To the organized mom who has everything on a schedule, how fortunate your kids are to have a mother who puts intentional thought into everything you do because you love them. To the free spirited mom, your kids are so fortunate to have a mother who loves them enough to jump on one adventure after another with them. You are beautifully unique, and God gave you the matchless ability of raising your children in the unique way that only you can. No other mother will mother like you. Embrace it, and choose love.